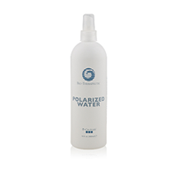 This hydrating gel contains hyaluronic acid, which mimics the body's natural hydrator, to bind moisture to the skin. It is formulated with aloe vera gel and Vitamins A and D which repair and restore skin's moisture balance. It contains artichoke leaf extract as an antioxidant, and is excellent as a conductive medium for use in microcurrent services. Available in 480ml. This refreshing preparation firms and moisturizes skin while smoothing the appearance of fine lines and wrinkles. Contains hyaluronic acid for its excellent water binding capabilities, palmitoyl pentapeptide for its ability to stimulate the development of collagen and elastin, and Vitamins A, C, D, and E for their antioxidant properties. Available in 120ml. A precise blend of electrolytes and minerals formulated to reduce surface tension and provide optimal conductivity and hydration during microcurrent applications. Available in 480ml. This gentle yet effective formulation allows thorough extractions with cetrimonium bromide as a surfactant which breaks up oils and fats on the skin. Also contains corn mint and orange peel extract with antiseptic, anti-inflammatory, and antibacterial benefits. Additionally palmarosa oil for soothing and antiviral benefits. Available in 120ml. A unique formulation that combines collagen and elastin, proteins which can be easily ionized to regenerate, rehydrate, and revitalize the skin. Both are essential for a youthful appearance, making this the perfect choice for microcurrent applications as well as home care regimens. 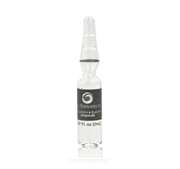 Available as 10 (2ml) Ampoules per box.